Hungary Struggles To Apply Its Own Unique Version Of "Internal Devaluation"
Just what the hell is going on in Hungary? This is the question which even the most cursory inspection of the latest round of data coming out of the country leads me to ask myself. What the hell is going on and just what kind of correction is this the IMF are presiding over here? In May, according to the latest data from the Hungarian statistics office, in the Hungarian private sector real wages were up, and employment was down. Meanwhile in the public sector, real wages were down, but employment was up (contrary to what was supposed to be happening). A recent programme to get workers off the unemployment roles and back to work seems to have had the perverse and contradictory impact of offsetting the fall in private sector employment by giving a sharp boost to public sector employment. So while total employment has remained more or less stable, the balance has shifted, and in the wrong direction. 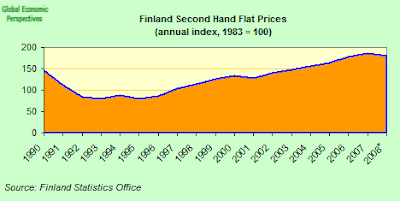 Meanwhile, in an attempt to stem the bloodletting in public finances (the economy remember will probably contract by about 7 percent this year) VAT was raised - by the significant margin of 5 percent (from 20% to 25%) on July 1st, giving consumption, which was already falling sharply, another sharp jolt downwards. 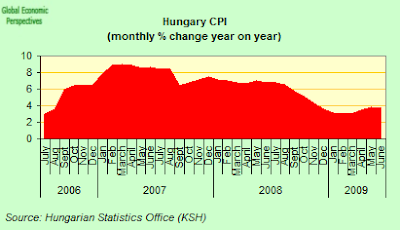 Not only that, the Hungararian economy, in order to maintain the value of the forint more or less where it is (all those forex loans) was supposed to be having a major downward correction in wages and prices, yet inflation (which was already at an annual 3.7 percent in June) will surely now be given a hefty kick upwards. So, I ask myself, how does any of this actually make sense, and to who? And meantime the problem of the forex denominated loans remains, and goes jangling around (like any good jailor does) in the background, putting an effective stop on monetary policy just as fiscal policy switches over to complete contracton mode. This is why I talk of "internal devaluation", since the Hungarian authorities (with the agreement of the IMF and the EU Commission) seem to have decided that, rather than resolving the issue of the CHF loans once and for all, they will down the same road that is proving to be so disastrous in Latvia, even though they have their own currency to devalue, should they choose to do so. At the end of the day, the big question which we are all left with is, whether this structural shift in employment, away from the private sector and towards the public sector, and the increase in the consumer price index to be caused by the sharp VAT hike, plus the ongoing rise in real wages, really is the outcome the IMF support programme was intended to achieve? Amazingly, with an economy contracting at at least a 7% annual rate, Hungarian real private sector wages aren't falling, they are still rising. 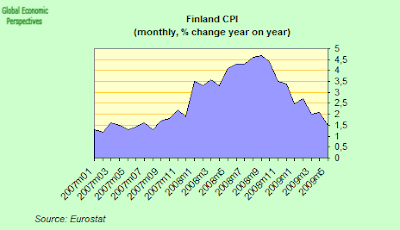 They were up (over and above inflation) by 1.7% in May. 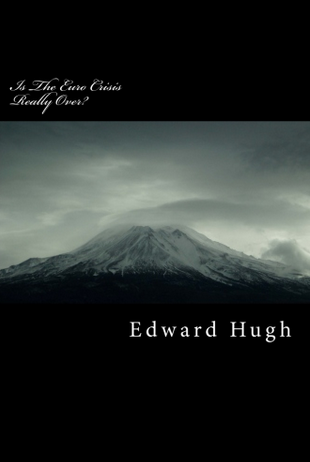 Evidently those who are still in employment say, crisis, what crisis? Unsurprisingly Hungary’s consumer confidence index rose in July for a third month (to minus 63.1) after hitting a record low in April. 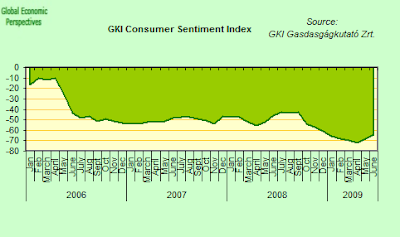 “Consumers’ perception of their ability to save in the short-run is what improved the most from June,” GKI said in their statement. Well certainly a 5 point hike in VAT is unlikely to encourage them to spend. 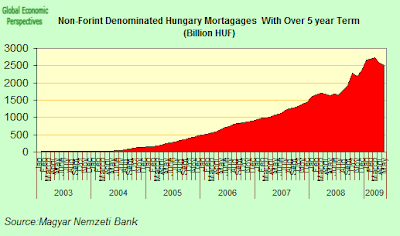 In fact, paradoxically, saving is what Hungarians collectively really need to do, to reduce the ballooning government debt and pay down the level of net international indebtedness. But all this simply means is that to get the economic growth necessary to do all the required saving Hungary is going to need to export, and a lot more than it was doing previously, which is why the shift towards public sector employment is so serious. As I say, private sector employment is down in Hungary, by 4.8% y-o-y. 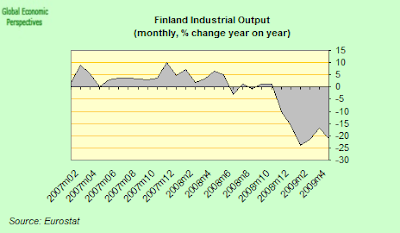 While industrial output was down 22.1% in May over a year earlier. Something just doesn't seem to be working as it should be here. On the other hand, public sector employment is on the up and up in Hungary, due to job creation under the short term stimulus programme, courtesy indirectly of the IMF, who have permitted a large than anticipated budget deficit. Don't get me wrong, it's not the stimulus I am quibbling about, it is what it is being used for. The outcomes we are seeing at present don't seem to me to be producing a large structural change in the right direction. Actually the rise in public sector employment is not a direct result of the increase in the IMF permitted deficit, but rather comes from restructuring funds earlier used to finance social assistance payments. The same ammount of money (at about 100 billion HUF) was used to provide public work opportunities for people who before April were entitled to receive social assistance for staying at home. Now those considered capable of working can only receive benefits if they are registered as public workers and if they are offered a job opportunity by local governent they are compelled to accept it. Thus, like so many things in Hungary, the intention was good even if the execution wasn't. Meanwhile, far from the current recession leading to a significant downward shift in wages and prices, real wages are - as we have seen - still rising, and Hungary's consumer prices were still running year on year at 3.7% in June, down it is true from 3.8% in May, but still far to high to start restorting competitiveness. And of course, the July 1st VAT rise will give consumer prices another stout kick upwards, with some analysts suggesting that year end inflation could be running as high as 6%. 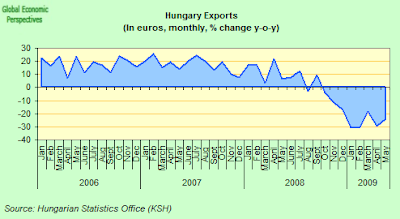 If this is anywhere near accurate, and the HUF stays in the region of its current euro parity, then Hungary's agony looks set to continue unabated into 2010. And in case you had forgotten, here is what is happening to Hungarian GDP: while wages and prices are rising steadily, GDP is in freefall. Year on year it was down 4.7% in Q1 and Hungary’s government currently expects the economy to contract 6.7 percent this year, the most since 1991. My view is a total policy trap is in operation here, since neither monetary (interest rates are currently 9.5%) or fiscal policy are available, so there is little support to put under the economy at this point. The only way to break the circle in my opinion is to let the forint drop, bring down rates, and restructure the CHF loans. The result of all this botched policy - Hungary’s unemployment rate rose to the its highest level in at least a decade in May. The rate rose to a seasonally adjusted 10.2 percent, the highest since at least 1996. 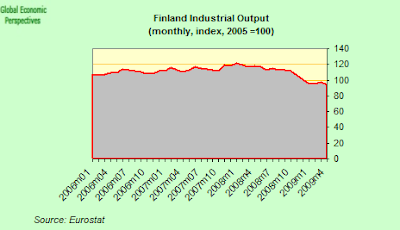 And the situation is more likely to deteriorate than improve, with the central bank forecasting lay-offs of around 180,000 in 2009-2010, nearly 5% of the total number of employed. One of the important things to grasp about the current situation in Hungary is that this is not a constant size wheel running constantly around the same spindle. 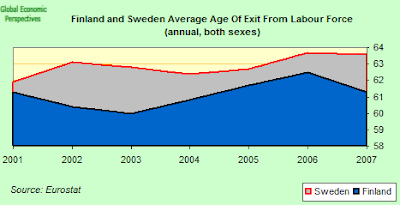 The long run outloook is steadily deteriorating as population falls and ages. 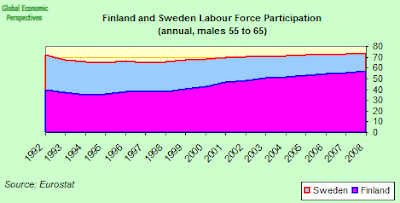 The same is also true of the working age population, which has now been falling steadily for some years (see chart below).Unsurprisingly therefore the NBH now project that employment will fall by 3.2% this year, followed by a 1.7% contraction in 2010, notably primarily due to layoffs in the private sector. 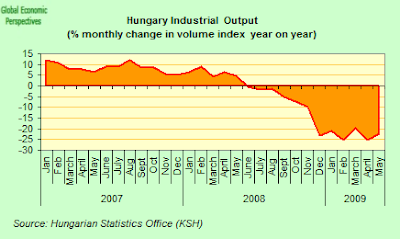 Hungary’s industrial output fell at a slower annual pace in May than it did in April as stimulus plans in the European car industry added to demand, but production was still down 22.1 percent on May 2008 (following a 25.3 percent annual decrease in April). 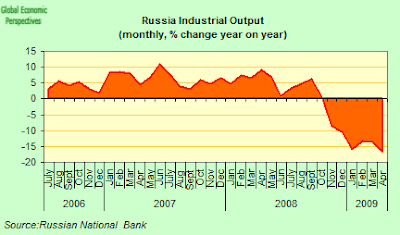 Output rose 2.6 percent over the month. 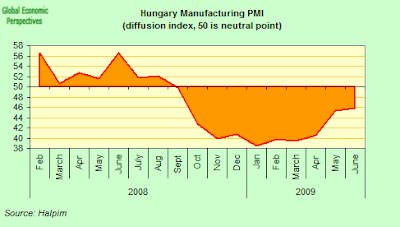 Hungary's contraction seems to be more or less moving sideways at the moment, and the June PMI came in at 45.8, a slight uptick from 45.4 in May, but hardly a seismic shift. 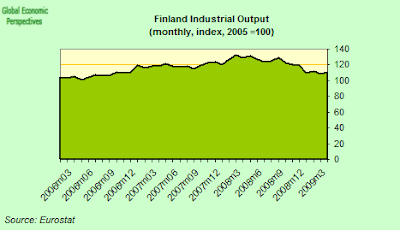 The output improvement was almost all due to the export sector. Hungary recorded its fourth monthly trade surplus in May, and came in at 497.7 million euros as compared with 430.3 million euros in April and a deficit of 30.3 million euros in May last year. 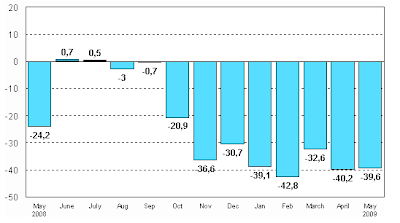 Now good news is always good news, but it is important to understand that this result was almost entirely achieved via a dramatic drop in imports, which plunged 32.3 percent in May (following a 35.4 percent decline in April). It is impossible to talk of any marked improvement in exports, since these fell by an annual 24.1 percent, accelerating from a 29.4 percent drop in April. 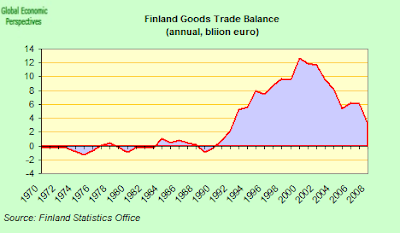 While in the short term this substantial drop in imports (and hence rise in the trade balance) is GDP positive, it is very negative for living standards in the longer term, and the whole situation needs to be reversed by a large boost in exports leading imports as the eurozone economy eventually recovers. But to be able to achieve this Hungarian industry needs to do more, much more, to achieve competitiveness. Hungary is suffering from a generalised drop in demand - domestic, export, government, and investment - for which it is difficult to see any short term remedy. 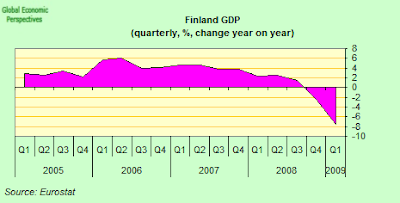 In the first quarter of 2009 investments fell by 7.7% compared to the same period of 2008, while they decreased by 1.1% in comparison with the previous quarter (according to seasonally adjusted volume indices). 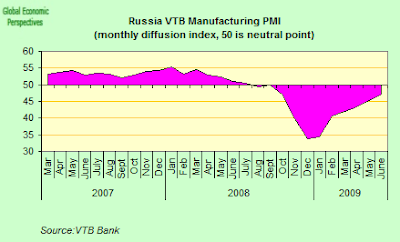 Within this fall machinery and equipment decreased by 9.9%, while investment in manufacturing industry was down by 6.8%. Evidently the first sign of any real recovery in the Hungarian economy will come when investments stabilise and even start to increase, since that will be a reflection of the expectation of future demand arriving further down the pipeline. 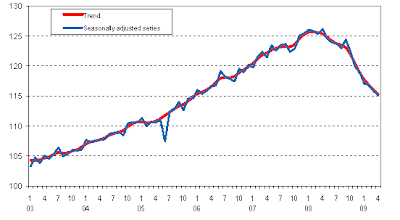 Construction activity was down by 10.1% compared to May 2008. 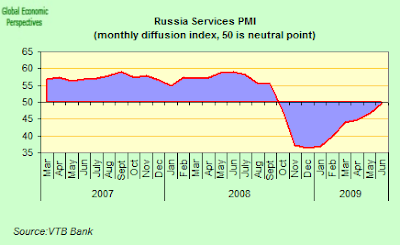 In the first five months of the year, output decreased by 6.9%. 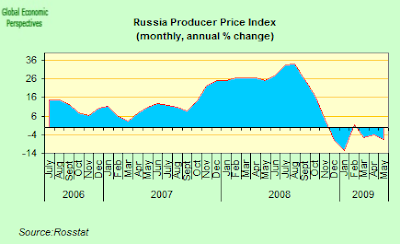 In comparison with April production decreased by 3.3%. 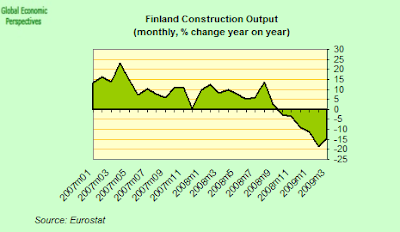 Construction output showed a decreasing trend in connection with the global economic crisis in the past months. In fact there was a significant difference between the performance of the two construction branches, with buildings activity falling by nearly a quarter, while civil engineering works were up by 7.9%. On a seasonally adjusted basis, building activity was 8.6% lower in May over April, while civil engineering was up one percent on the month. 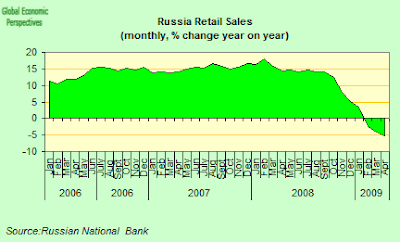 Retail sales fell 3.4% year-on-year in the first four months of 2009. 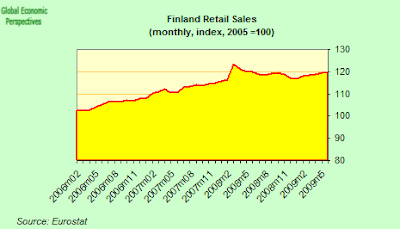 In April the fall in retail sales accelerated, and the volume index was down 4.1% compared with April 2008. 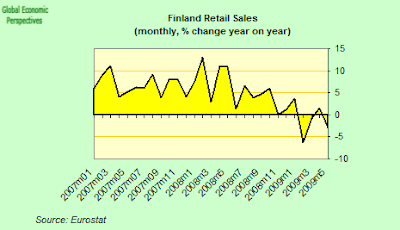 Retail sales decreased by 0.3% over March according to seasonally and calendar adjusted data. 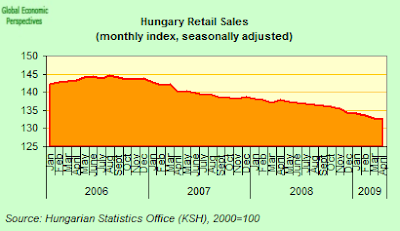 But the real problem is that Hungary's retail sales are now in long term decline, and it is hard to see this situation turning round as the population declines. 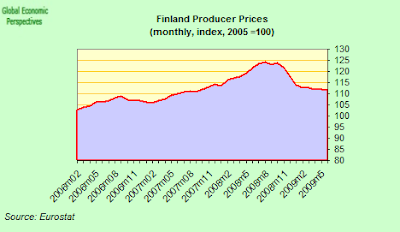 The peaked in mid 2006, and it has been downhill ever since. This highlights the important point that Hungary's economic difficulties - like Italy's, which bear some resemblance, are not of recent origin, but go back to the adjustment process that started following the mini crisis of June 2006, an adjustment which has never, at the end of the day, achieved the results which were expected of it, and the real question is, why not? Back in April, the Hungarian Finance Ministry were expecting a 155 billion forint budget surplus for the second half of this year, but since then the economic outlook has continued to deteriorate, and according to their latest estimate there will actually be a 149.6 billion forint deficit in H2. 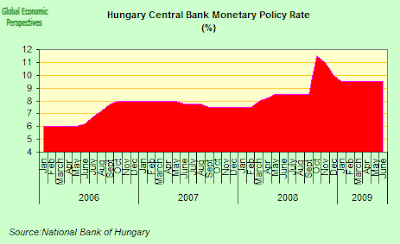 This anticipated shortfall is the principal reason why the IMF and the European Commission recently agreed to let Hungary raise its deficit target to 3.9% of GDP for 2009 from the 2.9% previously agreed. 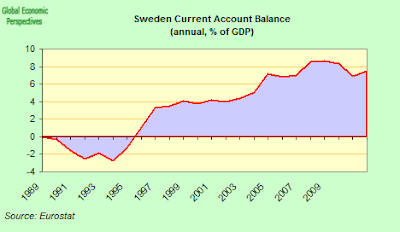 They did this in response to the larger-than-expected economic recession, thus avoiding the additional fiscal tightening measures which would have been needed to hold the deficit below the Maastricht 3.0% target level. 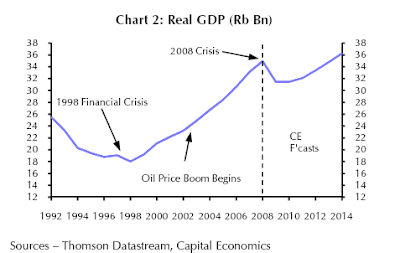 The gap in 2010 is now expected to come in only a tad lower than this year at 3.8% of gross domestic product (although this number is subject to considerable revision given the levels of uncertainty facing the economy and hence government revenue and spending). As a result, the EU Commission in their latest forecast suggest gross government debt to GDP will reach 80.8% in 2009, and 82.3% in 2010, way above the 60% euro adoption level. But is this new-found optimism justified? Possibly. The National Bank will certainly take heart from the fact that the bond market is functioning once again following a complete freeze late last year. This adds weight to the case for interest rates to be gradually lowered, with a 50bps cut to later this month looking increasingly likely. But amongst all the euphoria, it is important to keep some sense of perspective. First, while the government managed to complete the bond auction successfully, it came at a price. At 6.79%, the yield on the new bonds is around 90bps higher than what existing 2014 euro-bonds currently trade at. There is indeed a general feeling in the air that monetary easing is coming, and in fact three members of the central bank's Monetary Council voted even at the last meeting to lower the key policy rate by 50 basis points, according to minutes of the 22 June rate setting meeting. The MPC is set to hold its next policy meeting on 27 July, and is widely expected to start a monetary easing cycle. My view: just watch out what happens next. 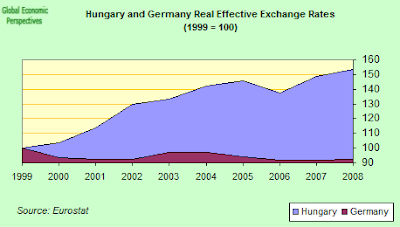 And if you are in any doubt about the extent to which Hungary has lost competitiveness since the start of the century, just take a look at the comparative REERs for Germany and Hungary below (REERs are trade weighted, and take account not only inflation but also movements in unit labour costs, ie productivity). 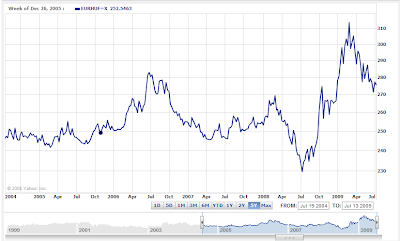 The problem the central bank and the Finance Ministry have to address is the ongoing issue of the mountain of Swiss Franc denominated mortgages (see chart). These have stopped increasing in recent times, but still constitute a serious obstacle to any devaluation of the HUF, due to the non performing loans issue this would create for the banking sector. 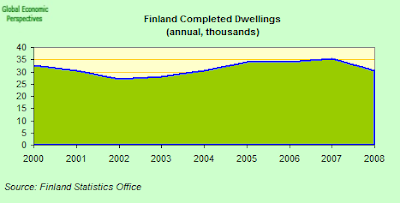 Not only has money been borrowed against homes for to fund house purchases, it has also been loaned for consumption (see chart below), so indeed the fact that even these loans are stagnating hardly bodes well in any way for domestic demand. The thing is, as long as the interest rate differential remains as it is, there is no possibility of convincing people to take out HUF denominated mortgages. 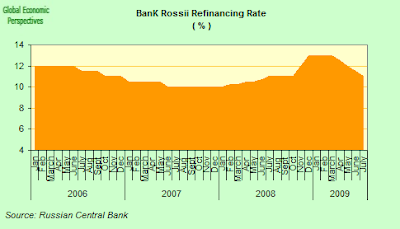 So domestic rates have to come down, but as they come down the forint will fall, and the number of distressed loans will spiral up. 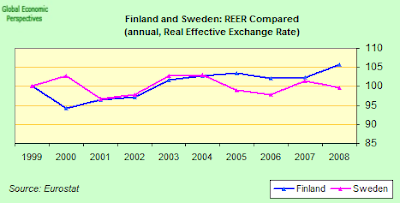 So the authorities are stuck in a real policy trap, where they have to wriggle uncomfortably around, carrying out what can only be described as a weird variant of voluntary internal devaluation, an intenral devaluation which again, as we have seen from the wage and price data, just isn't happening. Obviously the whole idea IMF idea here was some sort of long term "play" - moving the focus of taxation from employment to consumption (addressing the tax wedge issue). Initially this shift was supported by the argument, that, amidst a deflationary backdrop, businesses wouldn't be able to pass the tax increase on to consumers in its entirety. At this point it would seem the Hungarian government has no real room for manouver and are desperate to implement the tax restructuring, therefore they opted for the significant VAT raise. So from Tallinin, to Riga, to Budapest, to Bucharest, the same sonata on a single note is being played, and the message is a clear one - cut spending and you will expand. 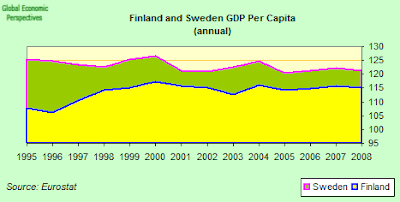 But with consumption sinking, government spending falling and exports insufficiently competitive to drive the necessary surplus, the whole thing is now becoming rather a mess, with no clear economic policy objective in the short term (except, of course, maintaining a strong exchange rate) and while in the long term the emphasis is rightly on export. 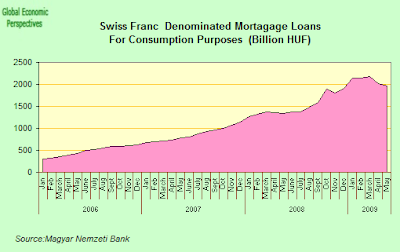 But no one has any idea of how exactly to correct prices sufficiently with the CHF mortgages stuck in the middle. it is worth noting that the latest euro-bond issue only adds to the mountain of foreign currency denominated debt that lies at the heart of Hungary’s current woes. With the banking sector still in deep trouble and fiscal policy set to tighten, the recession is likely to intensify over the coming quarters. So, with the Hungarian government currently forecasting a GDP contraction of 6.7 percent,this year, and the likelihood being of further contractions next year and possibly even in 2011, something somewhere is going to give here. 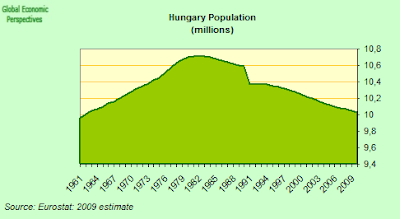 And among the casualties, well why not Hungary's unborn children, the ones she needs to start turning round that population decline I started this post with. 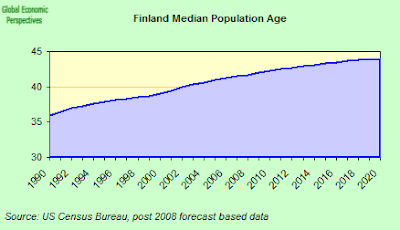 According to preliminary data from the stats office, in the first five months of 2009 38,964 children were born, 1.9 percent less than in the first five months of 2008. 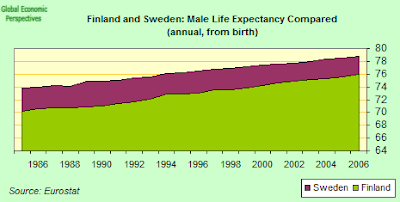 But that isn't all, if you look carefully at the chart you will see that the number of children born fell substantially from about March 2007, just nine months after the first financial shock hit Hungary in June 2006. So here's a nice prediction, if economic conditions do work as a short term influence on fertility, then we should see another sharp drop in Hungarian births starting in from July, just nine months after the last financial crisis hit the Hungarian economy. 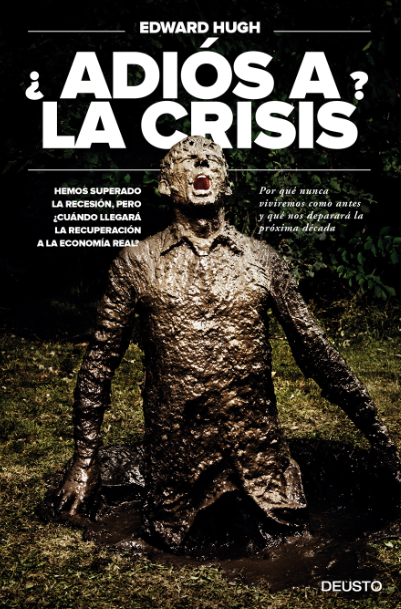 There, I bet you never imagined that the collapse of Lehman Brothers could have such far reaching consequences, now did you? Bulgaria will be having a new government after President Georgi Purvanov formally asked Sofia mayor Boyko Borisov to form a cabinet on Thursday, July 16. Voters in the Southeastern European nation gave a clear victory to Borisov's right-of-center Citizens for European Development of Bulgaria (GERB) in a parliamentary election held last July 5. While the election to choose members of the Bulgaria's unicameral Parliament, the National Assembly, was the country's second vote in less than a month - last June Bulgarians elected their representatives in the European Parliament - the parliamentary poll nonetheless had a 60.9% voter turnout rate, up from 55.8% in 2005. Bulgaria's general election - the seventh since the country peacefully moved away from single-party Communist rule in 1989-90 - was held under a new electoral system which established 31 single-member seats, chosen by plurality voting. First-past-the-post seats were ostensibly introduced to make the National Assembly more accountable to voters, although the remaining 209 seats continued to be filled separately by closed party list proportional representation (using the Hare/Niemayer variation of the largest remainder method among parties and coalitions with at least four percent of the vote, initially on a nationwide basis and then at the multi-member constituency level, the latter stage under a complicated procedure that insures that seats are allocated without changing the nationwide distribution of mandates among competing lists or multi-member constituencies). Moreover, single-member seats were filled in a manner contrary to the principle of one person, one vote: each one of Bulgaria's existing 31 multi-member constituencies was assigned one seat, irrespective of population; the distribution of multi-member constituency seats is also skewed in favor of the smaller provinces, but the differences are considerably less pronounced. At any rate, while the electoral reform may have amounted to little more than window dressing as far as parliamentary accountability is concerned, the introduction of single-member plurality seats has had a distinct impact on the distribution of legislative seats: GERB won a sweeping victory with 26 of 31 first-past-the-post seats, which along with 90 of 209 list seats gave the party a total of 116 National Assembly mandates - five short of an absolute majority; under the previous, fully proportional electoral system, GERB would have only had 105 seats (assuming of course that voters would have cast their ballots in the same manner). Elections to the Bulgarian National Assembly has detailed 2009 election results and an overview of Bulgaria's electoral systems since 1991. As in previous elections, corruption and the economy were salient campaign issues. Bulgaria joined the European Union in 2007, but it has the dubious distinction of being rated the poorest EU member - and the most corrupt as well. In fact, Bulgaria's inability to deal effectively with corruption and organized crime cost the country hundreds of millions of euros of EU aid in 2008. 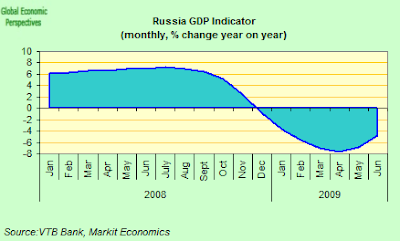 On top of that, Bulgaria has been hit exceptionally hard by the global economic crisis, and after twelve years of growth, the Bulgarian economy is in recession, contracting at a rate which the IMF forecast could reach seven percent this year. Not surprisingly, the big loser in the election was the ruling coalition government, headed by the post-Communist Bulgarian Socialist Party (BSP): the BSP-led Coalition for Bulgaria lost 42 of its 82 its National Assembly seats, and its coalition partner, the National Movement for Stability and Progress (NDSV; originally the National Movement Simeon II) sank below the four percent threshold and lost its parliamentary representation; meanwhile, the third party in the outgoing coalition government, the Movement for Rights and Freedoms (DPS) - which represents Bulgaria's sizable Turkish minority - slightly improved upon its 2005 result both in terms of votes and seats. Nonetheless, the outcome of Bulgaria's 2009 parliamentary election follows a pattern common to every general election since 1991, in that once more Bulgarian voters have voted out of office the parties running the country. However, Bulgaria has yet to develop a stable party system: as in 2001, a newly-established party has upset the existing political order, and GERB's convincing victory on its first parliamentary contest strongly resembles that of the National Movement Simeon II eight years ago; interestingly, constituency-level results show a very strong correlation between GERB's share of the vote in 2009 and NDSV's in 2001 and 2005 (0.83 and 0.77, respectively). 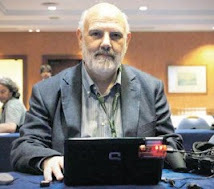 That said, the rise and fall of NDSV should serve as a cautionary tale for GERB: after the NDSV-led 2001-2005 government of Simeon Saxe-Coburg-Gotha (the former king of Bulgaria) proved unable to fulfill its campaign promises to deal with corruption and improve living standards, the party quickly went into a steep decline, which culminated in its wipeout last July 5. It was originally expected that GERB would form a coalition government with the center-right Blue Coalition headed by the United Democratic Forces (UDF) and Democrats for a Strong Bulgaria, which won fifteen seats in the election (down from thirty-seven obtained by its two major constituent parties two years ago), but Borisov has chosen to preside over a minority government, supported from the outside by smaller right-wing parties such as Order, Lawfulness and Justice, which won ten seats in the National Assembly, or even the far-right nationalist Attack Coalition (21 seats). Bulgaria hasn't had a minority cabinet since Filip Dimitrov's UDF government in 1991-92, which lasted just over a year in power - hardly an encouraging precedent. All the same, it appears unlikely the remaining five parties represented in the National Assembly will join forces against GERB, at least for the time being. The International Monetary Fund has put forward new, difficult conditions for Latvia to receive further loans, the prime minister said on Wednesday in a further sign the Fund is being tougher than the European Commission. It isn't clear at this point what these conditions are. Rumour has it they may be an end to the flat income tax, or a hike in VAT. A hike in VAT would be more hari-kiri, since this would again hit consumption AND would boost inflation at a time when they are trying to deflate to carry through an internal currency correction. It also isn't clear whether this is a serious attempt to add new conditions (which I find unlikely, given how advanced the distemper is) or whether this is a way for the IMF to get themselves off the hook (ie leave the EU Commission to stew in its own juice) without having a public and potentially damaging break with the EU. The IMF need to find some sort of exit strategy I think (since Latvia evidently at this point doesn't have one), or it risks losing its own credibility if it puts a seal of approval (by granting the next tranche) on something which most external specialists now think could end up in a very messy grande finale. Argentina ghosts are stalking the corridors in Washington, not because of the similarities between the two countries (they are, at the end of the day pretty different), but because of the way giving a final "kiss of death" loan to a country can ultimately come back and haunt you. The local Latvian news agency is saying that if Latvia and the IMF do not sign the new agreement by Friday, Latvia may not see the next chunk of the IMF loan and it could jeopardize the further funding from the EC. This could be brinksmanship, but even brinkmanship can go badly wrong if the other party can't concede. And who is the other party here? 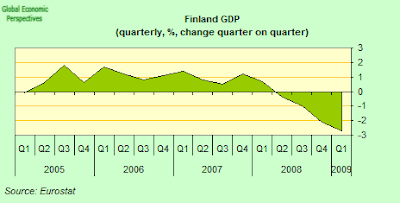 Latvia or the EU Commission, since they already said they are happy with progress. What a muddle! Bloomberg's Aaron Eglitis reports this afternoon that Friday may in fact not be any kind of deadline. He quotes Caroline Atkinson, head of external relations at the IMF, in Washington, to the effect that the head of the IMF mission in Riga is returning to Washington this weekend as scheduled, while the mission itself would “continue its work.” This suggests there will be no final decision this week. She also said there was “broad consensus among all the parties involved” about the goals for Latvia, declining to go into specifics. Rumourology has it that the IMF wants the government to become more effective in revenue collection, with the fear that the current contraction may be so strong due to the fact that part of the economy is disappearing back into a "grey area" as a backdrop. Various proposals are being floated around, but perhaps it would be better to wait for some concrete information before speculating about this. Latvian central bank Governor Ilmars Rimsevics has also been holding a press conference in Riga today, and he took the opportunity to suggest that the country’s budget deficit was likely to grow to between 9.5 percent and 10 percent this year. 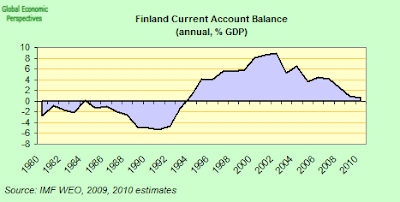 If this is the case, then this would obviously put Latvia outside the 60% gross debt to GDP criteria by 2010, which would make euro membership as an exit strategy non viable over the relevant horizon in my view. Just a long shot, but maybe that is what they are all arguing about. The EU clearly has to offer the four peggars more in the way of a carrot, although they themselves need to remember - looking over at Slovakia and Slovenia - that mere euro membership is no panacea to cure all ills. The Russian ruble strengthened the most in more than three months against the dollar yesterday (gaining 1.7 percent to 32.2247 per dollar at one point) as oil rebounded above $60 a barrel and OAO Sberbank reported better-than-expected earnings. Sberbank shares jumped 5.1 percent after first-quarter net income turned out to be above analyst estimates. 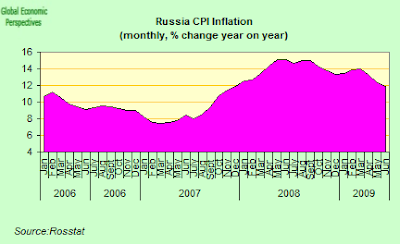 But the rise was also helped by the fact that Russia’s central bank spent approximately $2 billion from reserves to try to stop the ruble from falling yesterday, taking central bank reserve spending over the two working days since they lowered interest rates half a percantage point on Friday to around $4 billion, according to reports in the newspaper Kommersant. Chile's Economy - Better Than the Rest?